Most people watch enough crime and police dramas on television to know that felonies are more serious than misdemeanors. This is accurate in real life, but misdemeanors are still criminal convictions, and they still end up your permanent criminal record. Without skilled criminal defense, you could end up with a record that pops up in every background check. Furthermore, you will be obligated to answer “yes” on job applications, rental agreements, and other documents that ask if you have ever been arrested for or convicted of a criminal offense. Moreover, misdemeanors aren’t always minor. In some cases, they carry harsh penalties, such as jail time and hefty fines. If convicted, you may also lose your driving privileges and be subject to other uncomfortable and inconvenient penalties. Put that way, it’s easy to see why misdemeanors aren’t so minor after all. If you are facing a misdemeanor conviction, the Law Office of Leon Geller can help. With nearly three decades of experience helping people accused of crimes in Maryland, Attorney Geller has the knowledge and skills to get outstanding results in your case. In some cases, individuals accused of misdemeanor offenses fail to hire an attorney at all. It’s just a misdemeanor, they figure, how hard can it be to defend? If you walk into a courtroom planning to act as your own attorney, the court will hold you to the same standards as any other attorney. You won’t receive any special treatment or consideration just because you lack legal training. This can be a huge shock to the unprepared. And it can have incredibly harsh and irreversible consequences. Isn’t your future more important than saving a few dollars on your legal defense? At the Law Office of Leon Geller, we believe experienced misdemeanor defense should be accessible to everyone, regardless of budget or background. Whatever your financial resources, we are confident we can assist you with your criminal defense. Because people often perceive misdemeanors as minor or “no big deal,” they are often tempted to accept a prosecutor’s offer of a plea agreement. In a plea agreement, the defendant admits to a lesser charge in exchange for a reduction in his or her sentence and sometimes other benefits. It’s a sigh of relief to have the case over and done with. Now, the only thing left to do is get on with your life. It sounds like a great compromise, right? Not always, actually. Prosecutors are very good at making plea bargains sound like an excellent option. In reality, a plea agreement isn’t always the best choice. 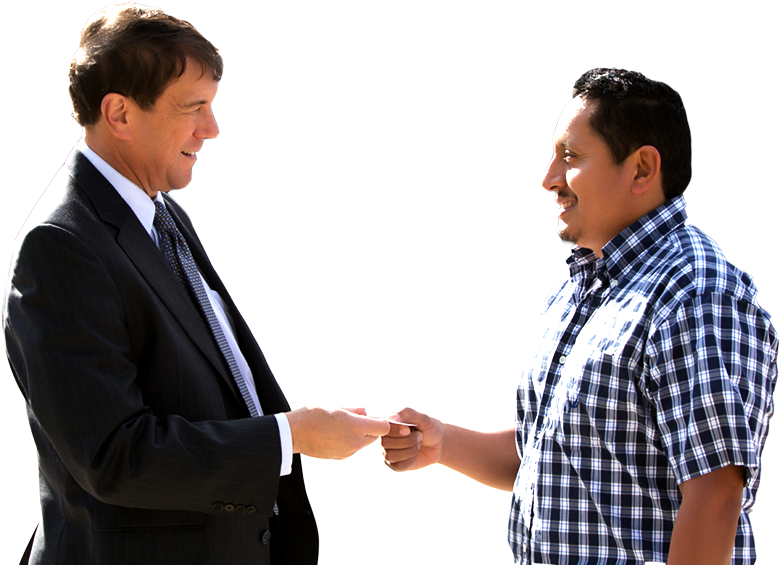 A Rockville Misdemeanor Defense Lawyer may be able to negotiate a better outcome. In other situations, it’s best to proceed to trial, where the charges against you could be reduced or you could be found not guilty. Your lawyer will look over all the evidence against you, and in many cases that evidence isn’t as airtight as it seems. If you are facing a misdemeanor conviction, the skilled criminal defense lawyer at the Law Office of Leon Geller can help. We assist people near Rockville, Derwood, North Potomac, Darnestown, North Bethesda, Garrett Park, Kensington, Gaithersburg, Silver Spring, and Wheaton and throughout Maryland with misdemeanor criminal defense. We also offer free consultations to all prospective clients. Give us a call today at 301-309-8001 to learn how we can help you.